But a call to action on climate change. For decades, higher average temperatures have been experienced across WA, and below average rainfall in the west coast and the south-west land division. Some estimate autumn and winter rainfall to drop by 50% over the next several decades. These cause several problems including heatwaves, water insecurity and drought. Heatwaves are a significant but underestimated killer. Since 1890, they have caused more deaths in Australia than the combined effect of bushfires, cyclones, earthquakes, floods and storms. Continuing heatwaves could cause hundreds more deaths each year by 2050. Over last 40 years, average annual inflow into Perth dams has fallen dramatically and the supply-demand water gap is widening. WA’s Department of Water estimate that, by 2050, water demand in urban areas across the state will outstrip supply by 250 gigalitres each year. Agricultural water supplies (surface and ground water) have fallen in the south-west. It is a similar story in south-eastern Australia, with higher average temperatures and below average rainfall. Rainfall has reduced by 11% in the April-October growing seasons since the mid-1990’s, and was particularly bad during the Millennium Drought. Drying of the Murray-Darling Basin is seen as increased “browning” in this Google Earth Engine time-lapse video from 1984-2016, particularly since 2002. If greenhouse gas emissions continue unabated, irrigated agriculture production in the Murray-Darling Basin is estimated to fall by 92% by the end of this century. The risk of droughts being more frequent and more severe is increasing, which will reduce agricultural yields and place ever-increasing pressure on farmers and food production. Increasing drought severity has also been found to be associated with an increased suicide risk in 30-49 year old rural males compared with those living in urban areas. Lowering greenhouse gas emissions is imperative to reducing the risks of temperature-related deaths, water insecurity and drought. However, despite signing the Paris Agreement at the recent Climate Change conference in Morocco, Australia remains a global climate change pariah. In the latest Climate Change Performance Index (CCPI), Australia is the fifth worst developed nation for carbon emissions and climate policy, and among the six worst in the G20 for lack of climate change action. In the overall CCPI score, Australia is only ahead of Kazakhstan, South Korea, Japan and Saudi Arabia. There have been concerns about whether the US and China, the two largest greenhouse gas emitters, will follow through on their commitments to the Paris climate change agreement, particularly with president- elect US-led Donald Trump. However, despite any effect Trump may have on the nation’s climate change policy, US cities and states, particularly California, can and will continue independently to implement their policies and actions to transition toward renewable energy. China has, in a short space of time, become a world leader in renewable energy industries and peaked its coal use in 2013. China has genuine interest in shifting to renewable energy, to reduce local pollution and take advantage of business opportunities in renewable technology. Conversely, our federal government has become desperately out of touch. It continues to support the fossil fuel industry, including a $1 billion subsidised loan to Adani’s Carmichael coalmine, despite it being too much of a financial risk for bank lenders. 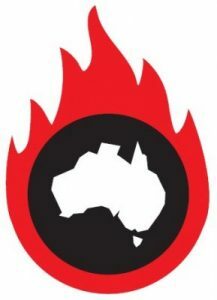 This follows the federal government using South Australia’s state-wide blackout as an opportunity to blame the state government’s zero-coal plans, even though the storm damage to electricity transmission lines had nothing to do with the source of power used. To compound the federal government’s poor judgement with Adani, India has now announced it will increase its renewable energy capacity and reducing its coal demand, jeopardising the Adani coalmine’s viability. The federal government is unable or unwilling to see that support, on several fronts, is rapidly moving away from fossil fuels toward renewable energy, including science, global action, public opinion, local government, universities and divestment. Divestment, the action of individuals and institutions to move funds away from investing in fossil fuel companies, has rapidly grown to $AUD 7 billion globally and, with this figure doubling in the last 15 months, will continue to increase. We have a small window for meaningful action on carbon emission reduction to meet our Paris agreement target of 26-28% reduction by 2030. In the Chief Scientist Dr Alan Finkel’s recent review, he advises that current government policy is insufficient to meet this target, and refers to an “emissions intensity scheme” – a system where higher emitting power stations purchase credits from lower emitting power stations. The scheme had been assessed by three organisations to be the best method for carbon emission reduction and would have the lowest impact on electricity prices. Despite this, the government has vetoed even examining an emissions intensity scheme in its 2017 review of climate policy. Yet again, vital policy change and needed action has been sabotaged by political power-plays. The scare-mongering and wedge-politics around climate change policy needs to end. It has gone on too long. The call to action I was talking about? Don’t remain silent. Contact your MPs and senators. Tell them to follow the evidence and expert advice and objectively assess an emissions intensity scheme. Let them know you want genuine action on climate change. Dr Peter Schrader is a member of Doctors for the Environment Australia.